It is a light up costume. Lights blinks . Batteries included. It is battery operated and glows / lights up when the button inside the WHITE POUCH is turned on. 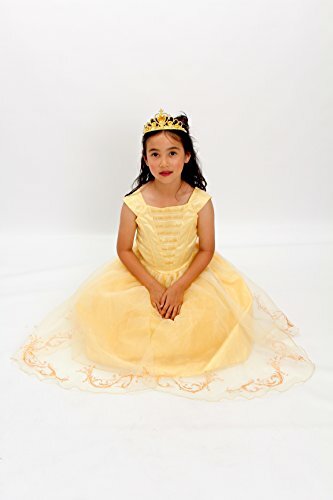 It is a Belle princess remove darkness from halloween gown With Tiara. This is a remove darkness from gown. Lighting fixtures blinks . Batteries included. It’s battery operated and glows / Lighting fixtures up when the button throughout the WHITE POUCH is turned on. The skirt has 4 layers and it glitters. A laugh gown for Halloween and fake Play on your little princess.